Accessorize your car just the way you want it with top-quality accessories professionally installed at AAG Glass & Tint. 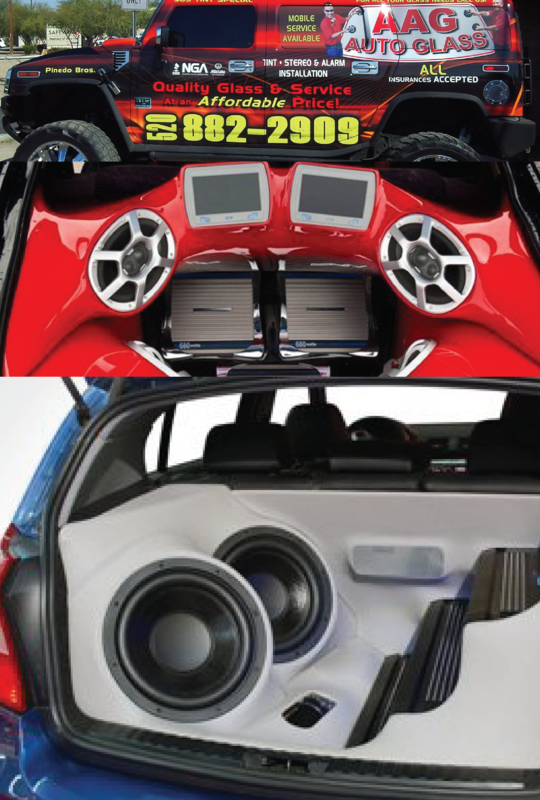 You can get stereos from name brands such as Pioneer, Rockford Fosgate or car alarms by Viper Alarms. If you want a remote starter so your car is warmed up by the time you get in it, we carry those, too! Get all the gear you want for your car and let our technicians put more than 20 years of professional experience to work making sure everything is properly connected before we get you back on the road. Proudly owned and operated by retired U.S. Master Sargent Hector Pinedo. We honor our military veterans and active duty soldiers by offering you a 10% DISCOUNT as our way of saying thank you. Some restrictions may apply.